This year, I'm hosting Thanksgiving dinner for the first time. (Two of my brothers and my sister-in-law are traveling down, and we are beyond excited to see them.) People keep asking me what I'm making, and which favorite recipes I'll be using for the big day, so I guess it's time I start thinking about it? 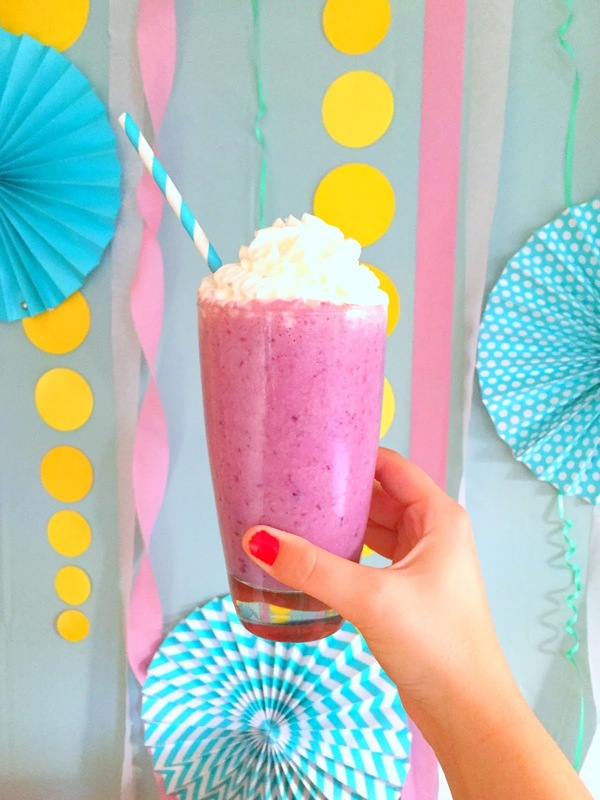 One thing I know we'll be making is our favorite pie milkshakes. 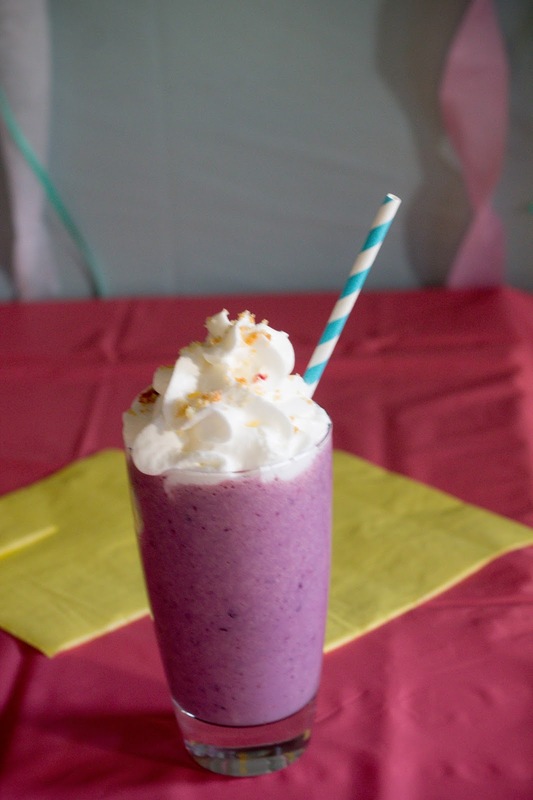 For us, pie milkshakes blend the best traditional Thanksgiving flavors with a cooler, fresh approach that fits with our first warm Arizona Thanksgiving. We're also donating a few Marie Callender's® Dessert Pies and some Reddi-wip® as part of a collaboration our church has with the local homeless shelter. 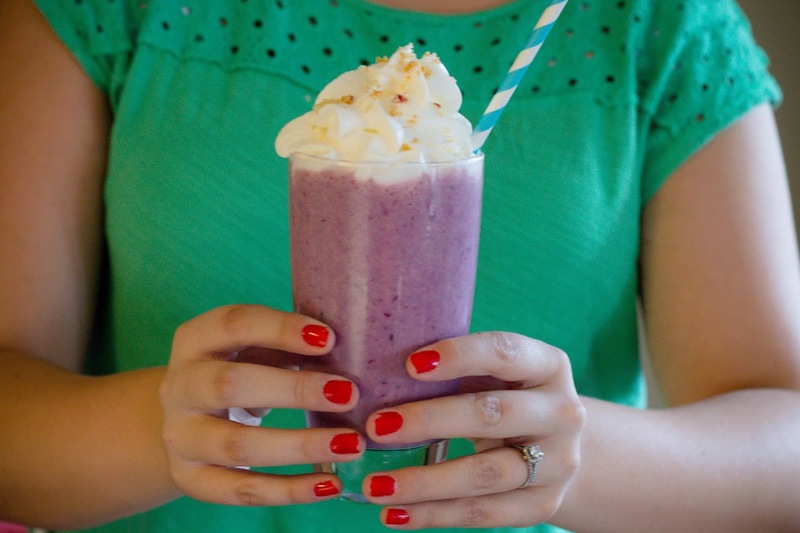 Here's our go-to pie milkshake recipe. 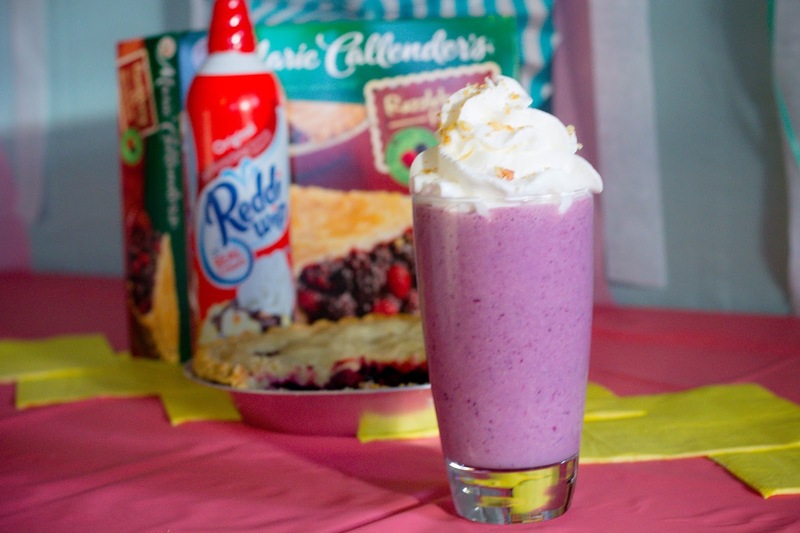 We've tried this with multiple berry-based pies, and they've all been delicious. In fact, I'm pretty sure you can use this recipe with anything except cream-based pies or pecan pie. Blend until smooth. Top with Reddi-wip® and pie crust crumbs! And, to go along with our tropical Thanksgiving, I wanted to share how we made this fun, easy backdrop. We originally had it up for a baby shower, but it's so bright and happy that we've kept it up for the past two weeks, with no plans to take it down anytime soon. 1. Pick a color scheme. 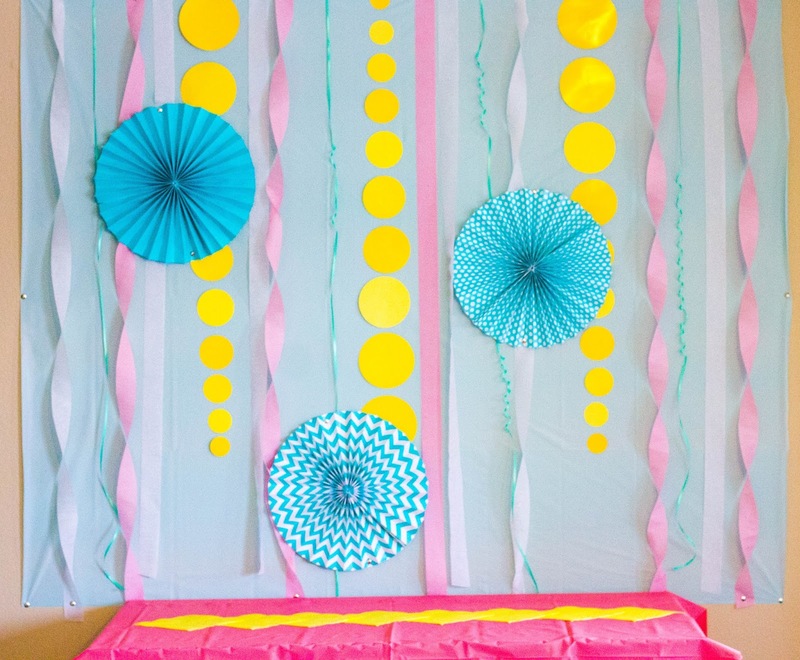 Our backdrop was originally for a gender-neutral baby shower, so we chose baby blue, baby pink, and pastel yellow. 2. Hang a base backdrop in a solid color. We just used a 99-cent tablecloth, and secured it with a few pushpins. So easy, doesn't leave huge holes in the wall, and has held up great. 3. Add color and texture with various hangings. 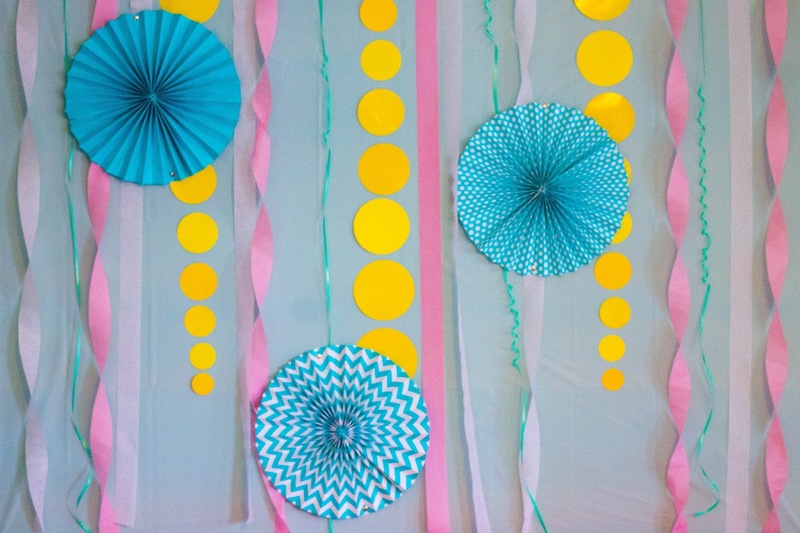 We used flat crepe paper, twisted crepe paper, paper fans, ribbon, and paper circle cut-outs. 4. Add more texture to open spaces. You'll notice we curled sections of our ribbon or added paper fans where there were blank or boring spots. And that's it! You can change the colors and hangings to achieve almost any look you like. It would be fun to use gold tinsel garland and strands of ivy against a deep red backdrop for a holiday feel. In the mood to help pie it forward this holiday season? You can get mouth-watering recipes, and a coupon, HERE. 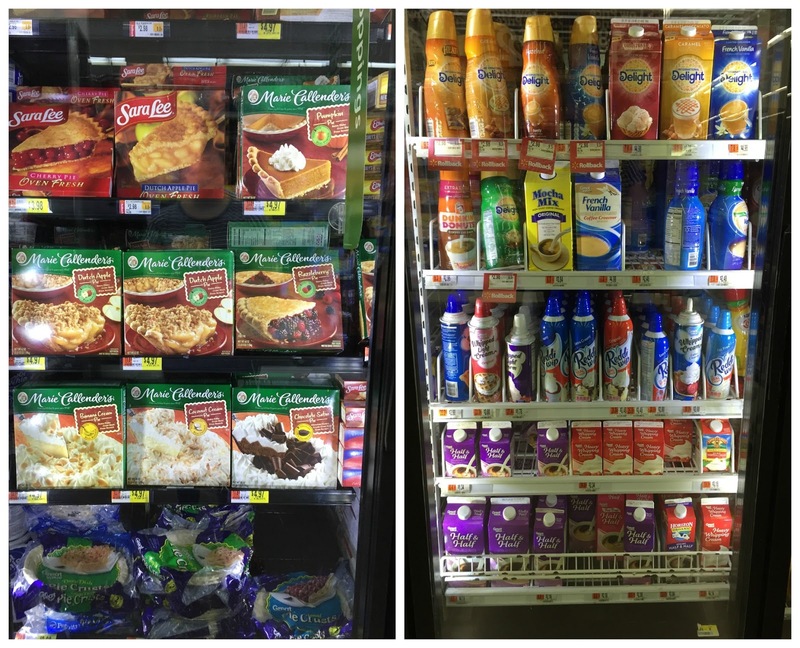 I picked up my Marie Callender's® Dessert Pies and Reddi-wip® at Walmart, along with almost all the materials for the backdrop. Which of these delicious pies are you making this year? Also, help me host Thanksgiving by sharing your favorite easy turkey day recipes!